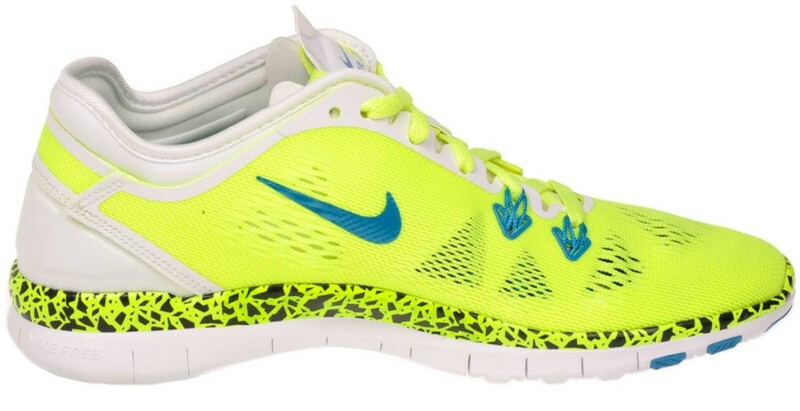 The Nike Women’s Free TR Fit 5.0 Running shoe is a very specific shoe. It was designed for the female athlete needing to improve lower body strength and flexibility. Engineered to fulfill its purpose, the shoe has an asymmetrical internal structural support system which offers the shoe multi directional movement. Need to know more about the shoe, read this review. Running shoes are supposed to be light on your feet to avoid heavy legs during training. You do not want to suffer from this as it can derail your workout session. With the Nike Women’s Free TR Fit 5 Running shoe, it is all about keeping the shoe light in the construction. The ultra-lightweight design also delivers stability and support that is required to keep your feet protected during an intensive exercise or a gym workout session. This mean you can even train all day without experiencing any forms of tired/heavy legs. The shoe is super lightweight; you’ll feel as if you are training barefoot. This ability is enhanced by the fact that the shoe adapts a no-sew technology and has a fused midsole and outsole. Just like most training shoes, the Nike Women’s Free TR Fit 5 Running boasts of having an air mesh upper for breathability. A training session often involves intensive exercises which our body reacts to the same by sweating. A poorly aerated shoe means that our feet are exposed to profuse sweating which can be catastrophic. Wet feet can impede a training session as it feels irritating. If the shoes are not a perfect fit, sweaty feet can cause one to slip. They are also a major contributor to shoe odour. The air mesh upper allows for maximum breathability and keeps your feet cool and dry. This way, you can practise comfortably. Support is very important when it comes to running shoe. The flexible neoprene heel counter is designed to support your feet and keep them in place to enhance your running experience. The Nike Women’s Free TR Fit 5 Running shoes are the most ideal running shoes simply because; at no point will you have to worry about rolling an ankle. Add to this the fact that the shoe is lightweight and you can understand why these shoes are great for cardio exercises. The shoe comes with a touch of genius. It is engineered with longitudinal and latitudinal sipes that are designed to guarantee a much better and effective running experience. They are located along the outsole and are specifically meant to provide for greater flexibility, and allows for a smoother and efficient ride. When comparing pricing to the other training shoes, the Nike Women’s Free TR Fit 5 Running shoes are a bit on the higher side. This however should not worry you considering the ingenuity behind these dynamic shoes. They are super durable hence you get value for your money. What customers felt about the Nike Women’s Free TR Fit 5 Running shoe? Customers agreed with the fact that regardless of them being super-lightweight, the shoes offer maximum support to your feet for any sort of exercises. They are very comfortable, stable and have a lot of room in the toe box. Besides their sturdy nature, the running shoes are also pleasing to the eye. They come in a number of colors and style that will most definitely to captivate you. Buy the best Cross Trainer Shoes for Women in 2018. Nike has been able to establish itself a one of the top brands when it comes to manufacturing sports shoes. And with the Nike Women’s Free TR Fit 5 Running shoe, they did not disappoint at all. The shoes focus on providing athletes with the much needed comfort and protection during training.